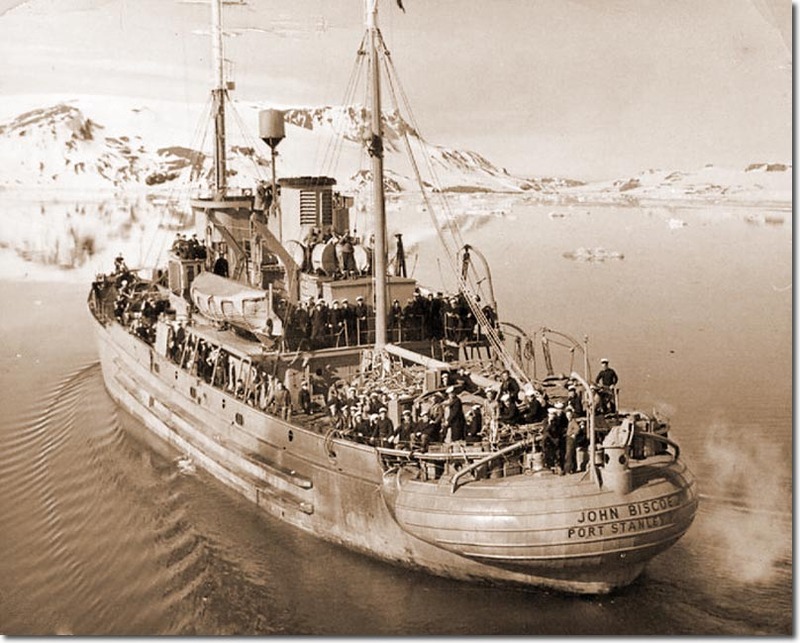 The John Biscoe was purchased by the government of the Falkland Islands to act as a research and supply vessel. She was extensively refitted for ice conditions, including having her hull sheathed in 3 inches of greenheart timber. She was involved in the Argentine attempt to fire on British scientists being dropped off at the British Antarctic station at Hope Bay.